A person could feel better talking to a good friend or relative for emotional distress. This is helpful but may not get to the root of the distress. To help eliminate the distress, it is importafnt to talk to a trained listener who will get to the root of the problem. The following are the services that I offer. Individual counseling allows the opportunity to explore and resolve personal problems and issues. Counseling occurs in a safe and non-threatening atmosphere where confidentiality is valued and nothing said leaves the office. An integration of psychological principles and Biblical truths as we address the various issues on this page. Therapy focuses on emotional healing. We focus on dealing with how the past may impact your current concerns and learning tools to help resolve issues. Implicit in the therapeutic process are tools for healing, resolving issues, and being more successful in the emotional (and spiritual) realm of your being. Also implicit in therapy are coaching tools. These are tools that are very task oriented based on your needs. 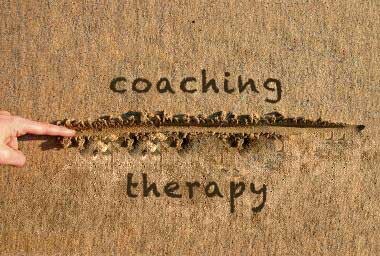 Although Coaching strategies are used in my Therapy sessions; Therapy is not a part of Coaching. Coaching is exclusively skills based. To sum up my coaching services, I would say that coaching is providing you with the specific tools and support you need to get you to where you want to be. We will take the time to assess where you are, how you got here, and what you need to get to the next level. The coaching is a mixture of accountability, resources, and support. We will work with however much frequency needed. If it is once per week, or twice per month, you can be assure that I will help you develop and follow your plan. I am licensed in the State of Georgia to provide Therapy in Georgia only. I can not provide counseling across state lines. As a Coach, I am able to provide Coaching services both inside and outside Georgia. Private insurance will not pay for Coaching services.